Time for an update on all the amazing dream tech that has come out recently. 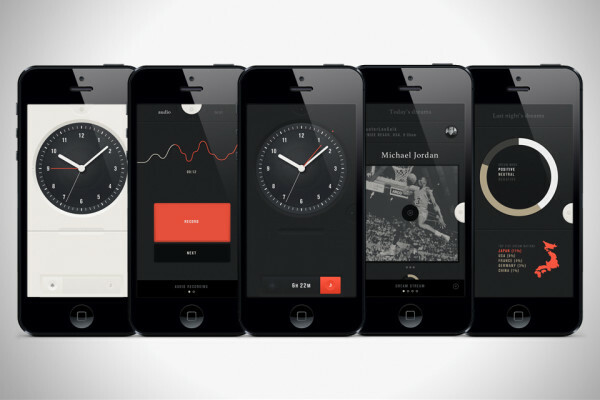 Hope you enjoy this 2015 round-up of dream-hacking apps and devices. Each of these are currently transforming what’s possible in the dream realms. I am especially excited to see all the new apps for smart watches. This is an independent review; all opinions are my own. I had a cold last week which delayed this article but luckily, during that time the news broke about MyBivy. 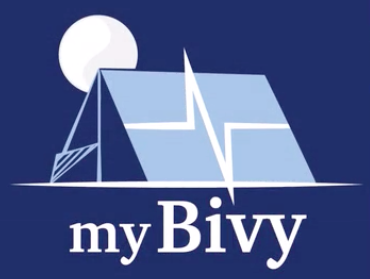 I am so psyched what MyBivy is doing. This Kickstarter-funded smart watch app has already met its goal and promises to relieve the suffering of veterans and others who have repetitive night terrors as a symptom of Post Traumatic Stress Disorder. Night terrors, also known as sleep terrors as they can happen at any time during sleep night or day, are a debilitating arousal disorder emerging from deep sleep, in which sleepers wake terrified, confused and often incoherent for several minutes. They are a common symptom for veterans after returning home from combat and one of the most challenging symptoms of PTSD to manage. Running on Google’s Pebble smart watch, the MyBivy app tracks sleep through heart rate and movement and then tracks when night terrors happen. Quickly, the app learns the optimal time to wake a sleeper before the next sleep terror occurs and alerts the sleeper with vibrations on the smart watch. The app also gives veterans the ability to have automatic notifications of their sleep terror sent to their VA doctors. You can still support them now and get an early release of the app as well as satisfaction for helping veterans and other sufferers of PTSD such as sexual assault victims and survivors of earthquakes and other mass disasters. 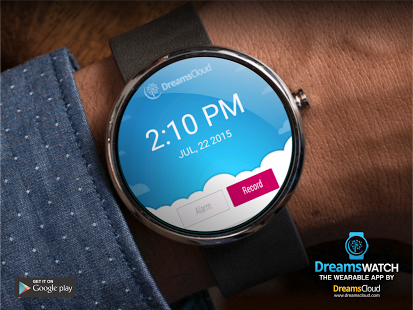 Speaking of new smart phone apps, a fun dream recording app just came out this summer for Android devices by DreamsCloud. You can record your dreams and upload them to your private online dream journal, or share them if you wish. The app’s strength is the convenience of the smart watch, as research bears out that the sooner you record your dreams–and the more you do so in general–the easier it will be to remember future dreams. The apps also has a “lucid alarm” that is a timer-based alarm that uses “gentle vibration” to alert dreamers they are dreaming. There’s some solid evidence that vibrations can instigate lucid dreams, although the limitation here is that the app is not using any kind of sleep sensor, it’s timer based. Still, it’s a fun start and clearly a concept in development. The app is free and located on Google Play. The company behind DreamWatch also has a iPhone app called DreamSphere for recording your dreams and seeing what others are dreaming around the world. Also be sure to check out DreamsCloud.com, which is the mothership dream database for these apps and their web-based free dream journal service. All told, they have amassed over 1.5 million dreams already through online dream journals. That’s right: over a million dreams! Users can share, socialize (or not), as well as request additional resources for dream interpretation. DreamsCloud works with prominent dream researchers and is helping bridge the gap between dream research and the public interest in dream studies. The Aurora mask has been eagerly anticipated ever since its successful Kickstarter campaign almost two years ago. 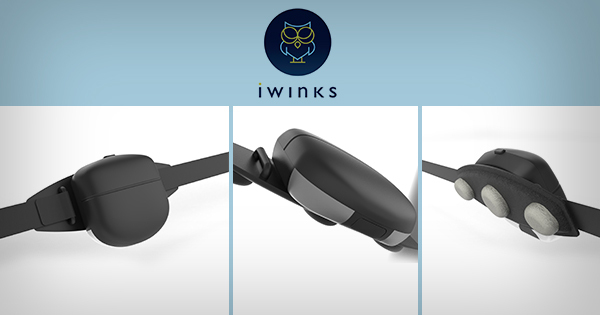 iWinks, the company behind the mask, has an ambitious goal to bring lucid dreaming induction into the 21st century, and they are now taking pre-orders, with an anticipated release before the new year. Other things that impress me: Aurora doesn’t obstruct your view (it’s a headband, not an eye mask), and it also has a Developer’s access kit to encourage innovation in the lucid dreaming community. I haven’t seen the mask yet myself but when I get my hands on one, I will definitely be reporting my experiences. Note: I’ve been a volunteer dream research advisor for SHADOW for over two years. However, many of my readers supported my own book launch with SHADOW’s initial launch, which had a successful Kickstarter in late 2013 with promises of building the world’s largest dream database. The SHADOW app utilizes smart phones and tablets for recording dreams, uploading them to the cloud where worldwide patterns can be determined in real time. The team released an ALPHA build earlier this year for iOS phones that has the core features for dream recordation, but the app hasn’t kept up with the latest iOS updates and is currently crashware (at least on my phone). Still, they’ve collected tens of thousands of dreams already, and the app has a small but strong following in the Silicon Valley consciousness-hacking scene. I recently caught up with hunter lee soik, CEO of DiscoverShadow, and asked him what is happening with the app, especially given the new OS on the iPhone. hunter reassured me that SHADOW is still very much in active development, and is looking at a late 2015 BETA release for iOS. The team is still developing a native speech-to-text capability (like Google translate but better). They are also working around data security issues that come with building an encrypted database. “It’s not just about dreams, it’s about personal data and I think YOU should own your data,” hunter told me. Another element of the app that has taken take some time to perfect is the Smarter Smart Alarm. Although SHADOW did not raise enough money through Kickstarter for this feature, they have since acquired investor funds to see it through. The Smarter Smart Alarm is a machine-learning smart alarm that uses the iPhone’s accelerometer for sleep staging. In hunter’s mind, the alarm is what will make sure the SHADOW app is “more than a novelty,” and which could mark a new generation in sleep health tracking. “It’s not about the Quantified Self anymore,” says hunter, “but the Understood Self.” Sleep tracking and dream tracking are just the beginning for this trend, which is coming to fruition as wearable tech is leaving the smart phone behind in favor of watches, wristbands and even tech-embedded t-shirts and tracking not just health measures but also emotions and other aspects of consciousness. This new lucid dreaming induction sleep mask is developed by a London-based company. The basic foc.us set up is a brain stimulation device, capable of applying several indirect (transcranial) methods of electrical stimulation of the brain with scalp and forehead sensors. It’s basically at home-sleep-lab device for DIY brain entrainment and biofeedback research. There’s nothing on the market like it for dream hacking. The lucid dreaming set-up uses tACS, or transcranial alternating current stimulation. Users can set their own level of intensity and find what works for them. The device uses a timer to apply the voltage, although a plan is in the works for more sophisticated sleep tracking. It sounds like a hangover from Frankenstein, but actually low voltage electricity actually has some scientific evidence for brain entrainment, including a recent (2014) article published in Nature:Neuroscience for increasing lucid dreaming. Another research team using a slightly different method also had some success with a small group of experienced lucid dreamers back in 2013. Foc.us is banking heavy on this research, but there’s a few problems with their claims. First, and most importantly, the research into “brain zapping” is in its infancy. And, it’s usually done by clinicians who have years of lab training. 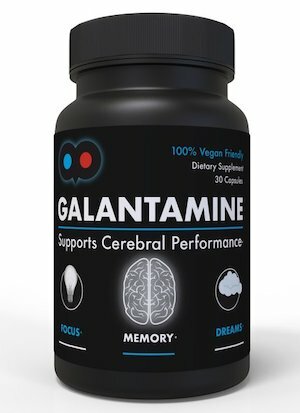 I think it’s too early for a commercial application for tACS (and tDCS as well) for lucid dreaming. In fact, a recent reviewer of foc.us at Vice magazine complained of uncomfortable sensations and his colleagues also reported pain, “like someone was squishing my brain.” That doesn’t bode well. Thirdly, Voss’s lucidity research actually is more nuanced than often reported in the press. The team applied tACS to a group of dreamers and had these dreamers report their experiences with a multiple question survey as well as dream reports to arrive at a measure of lucidity in the dreams. Here’s the thing: these measures included not only the cut-and-dried statements “I’m dreaming!” in the dream reports but also various scaled measures of several forms of meta-cognition using Voss’s LUCiD scale. 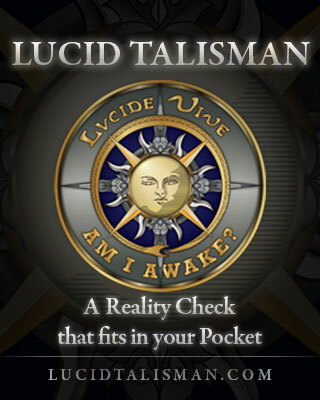 Voss told me, “We based our lucidity rankings on the questionnaire data. So, if someone scored above the mean in these scales, we considered the respective dream lucid. This is, however, not what lay persons consider to be a lucid dream.” As science journalist Christian Jarrett explained in Wired last year, the “Insight” scale (awareness of dreaming while dreaming) was higher than placebo with tACS stimulation, and the subtle difference in metacognition certainly shows proof of concept. It’s an intriguing pilot study that–you guessed it–really needs more research. In conclusion: caveat emptor. I am a fan of cognitive liberty: it’s your brain, do what you will. But I won’t be zapping my brain anytime soon. This app has been out for a couple years now, but it’s still a great app to have if you are interested in dream hacking. The Dream:On project was designed by professor Richard Wiseman at University of Edinborough in the UK. Quite possibly the world’s “biggest dream experiment,” the Dream:On app plays audio files while you sleep in order to influence the content of your dreams. There’s plenty of evidence that audio cues can influence dreams, Richard Wiseman has collected even more. There’s also a lucid dreaming feature that directly reminds you that you’re dreaming, and a smart alarm clock that promises to awaken you at the “best moment” within 30 minutes of your alarm going off. Since the app came out, and was downloaded hundreds of thousands of times, Wiseman has written Night School, a book about the project, incorporating his pioneering research into a highly useable sleep and dream manual for the 21st century. Did I miss any new dream apps that you are using? Leave a comment below! Featured Image: CC Amon Tobin 9.15.12. Great article, I am looking forward to you review of Aurora! Thanks Ryan, for the updates. I was a 50.00 funder for Shadow. Development has been excruciatingly slow, and it’s nice to know Hunter is still working on it.